The wonderful mild winter weather we’ve been enjoying also means that many pests and diseases are getting an early start. 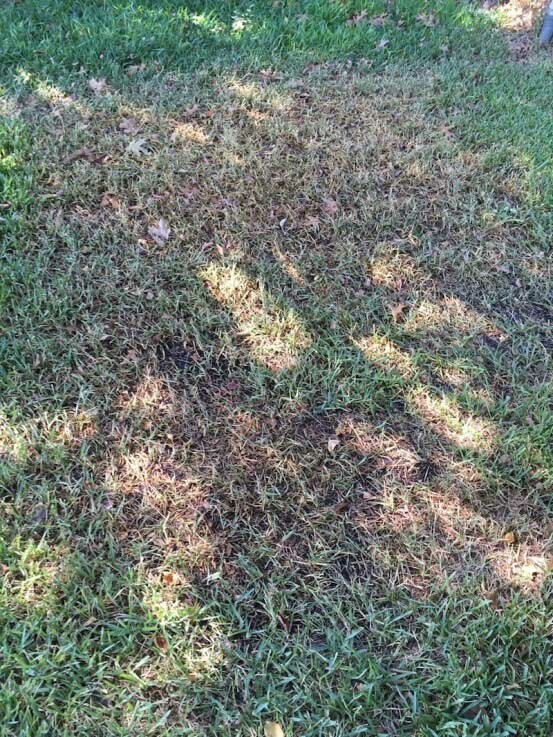 Brown Patch is one such disease that will be cropping up early this season, especially with the rain we’re getting this week.However, if you recognize the signs early on and practice good cultural practices in your lawn, you could avoid or minimize an infection. Last year, we saw an explosion of brown patch in the fall after all of the precipitation during the spring and summer. Unfortunately, this fungal disease has remained relatively active through winter due to the unusually warm temperatures. Now the is the time to watch out for it. The fungal disease brown patch, Rhizoctonia solani, can be spurred into action by numerous environmental factors. Excess moisture and mild temperatures are the main triggers for this pathogen. Because our daytime temperatures have been warm and the nights have remained cool, the conditions are perfect for brown patch to become active. If your lawn is already stressed due to compacted soil or has an excess amount of thatch, then the lawn could be more susceptible to brown patch. Recognizing the signs early is key to reducing brown patch over time. You will notice small to very large circular patches of grass turning a brownish yellow color. The leaf blades will remain upright and have irregular yellow patches with brown margins. A lawn infected with brown patch disease. Feed your soil to increase microbial activity and improve health. Healthy soil = healthy plants. Yearly soil aeration will help improve drainage and increase the flow of oxygen to roots. Mow at the right time and the right height. Know how to water your lawn no matter which season it is. If your lawn is infected with brown patch disease, applying natural fungicides should help to mitigate the problem. You can then begin to employ a healthy maintenance regimen to avoid the disease in the future.